Tuning Letter No. 1, page 33 – replaced the sample IEAOPTxx member because the lines were longer than 71 characters, and comments were not bound with /* and */. Tuning Letter No. 2, page 23 – replaced the sample IEAOPTxx member because the lines were longer than 71 characters. Changed the paragraph on the same page to state that commas in the IEAOPTxx member are optional. Tuning Letter No. 2, page 1 – changed the issue number to indicate No. 2. Tuning Letter No. 2, page 7 – corrected John Burg’s email address relating to SMF type 23 records. Our thanks go to the following people who first notified us of the IEAOPTxx problems: Bill Orrach from Lockheed Martin, Cliff Langlois from General Reinsurance Corp., and Dan Squillace of SAS. z/OS 1.10 – z/OS 1.10 appears to be one of the easier z/OS releases to install. The early user experiences were very positive, and the release seems to perform as well as predicted. It’s critical, however, to use the migration guides available from IBM in order to reduce possible problems during the install. z/OS 1.11 Preview – Several sessions touched on things that will be coming in the next September release. There is certainly more emphasis on self-managing systems and automatic notification to prevent potential problems. I include my view on the re-lease on pages 30 and 35. There was a lot of confusion over a z/OS 1.10 change in allocation management that was made to reduce DB2 allocation times. The change caused some products to fall over, causing IBM to essentially make it an installation option. Large DB2 sites should definitely look into using the new allocation method to improve DB2 performance. See page 17. For z10 processors, IBM has introduced a new CPU Measurement Facility that is a hardware monitor built into the processor itself. Because it’s in the hardware itself, it causes little overhead to the system it’s measuring. I expect that a lot of new uses of this facility will be seen in the next couple of years. See a description of this facility on page 7. Data compression on a z10 can be better or worse than expected because of a design change. See page 7 for a description of the change. New solid state disks were widely discussed as the possible performance solution for several critical data sets. See page 31. 2009.03.25 – DB2 9 for z/OS potential data loss following REORG or REBUILD INDEX in non-data sharing. 2009.03.31 – VSAM Key Sequence Data Sets with IMBED Attribute that are DUMP’d using Logical Data set DUMP are not RESTORED’d properly using z/OS 1.10 and therefore are not accessible from any z/OS release. 2009.04.24 – SMP/E Internet Service Retrieval, ShopzSeries, the Boulder ‘testcase’ server, and other service related servers will change public internet IP addresses beginning May 3, 2009. 2009.06.17 – Potentially incorrect data for z/OS applications sending data using TCPIP ASYNCIO on z/OS 1.10. 2009.06.23 – z/OS Sysplex: Potential sysplex-wide outage due to XES signalling limit reached for CF Lock structures. I just returned from my four-week residency in Poughkeepsie where I was working on a Redpaper about Mean Time to Recovery at IBM’s ITSO (International Technical Support Organization). ITSO is the organization that produces Redbooks, Redpapers, technical documents, and now Redguides (see page 47). Mean Time to Recovery refers to the time it takes to shut down a system, IPL it again, and bring up subsystems so that customers can log on. We found out many interesting things that I’ll tell you about as soon as it’s published. Project leaders in the ITSO hold multiple residencies throughout the year, with the usual product being a Redbook or Redpaper. Announcements about upcoming residencies can be found on the Redbooks Web site at http://www.redbooks.ibm.com/. Either an IBM employee or an IBM customer can apply to participate in a residency, but the project leader will look for complementary talents that can be used during the project. I felt very privileged to participate in this project run by Frank Kyne. (Frank’s an abso-lutely outstanding team leader!) 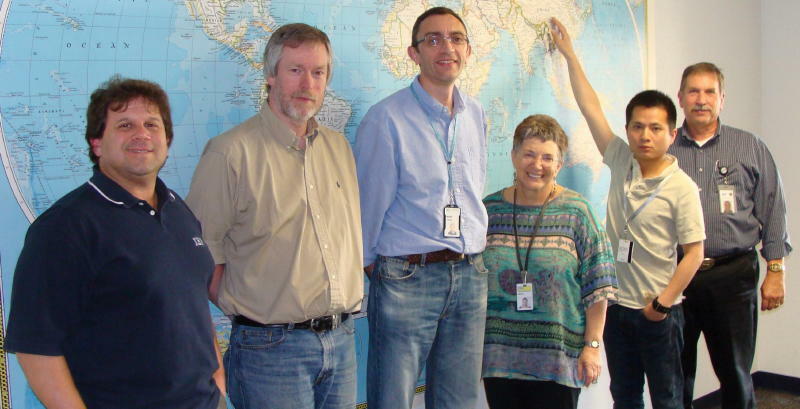 The other members on this particular residency were all from IBM: Mark Todd (CICS) came from Hursley, England;David Viguers (IMS) came from Texas; Shulian Yang (DB2) came from China;David Sanders (z/OS) came from Arizona; and Judi Bank (WebSphere) worked from North Carolina. It was wonderful working with them. This was one of the best experiences that I’ve had in many years, and for many reasons. The learning experience was invaluable. Not only do the team members learn from each other, but they also have the opportunity to meet with developers in each area, plus they get to experiment. And where else do you get a chance to have a sysplex to IPL (every ten minutes, or as needed)? That’s really what a residency is all about – sharing what you know, learning from others, and learning by experimenting. You have to enjoy writing, and it can get a little hectic as the deadline approaches. We were all able to take away new knowledge from our time there. Because IBM will pay the living and travel expenses (but not salary), this opportunity can provide an affordable and excellent learning experience. I had almost finished this newsletter when I went to Poughkeepsie, but was unable to finish it until now. I apologize for the delay. P.S. During May I turned 65 and wanted to see what color my hair really was, so yes, that’s me in the photo below with graying hair. My picture on the first page is only a year and a half old, but had some help from my hair stylist!